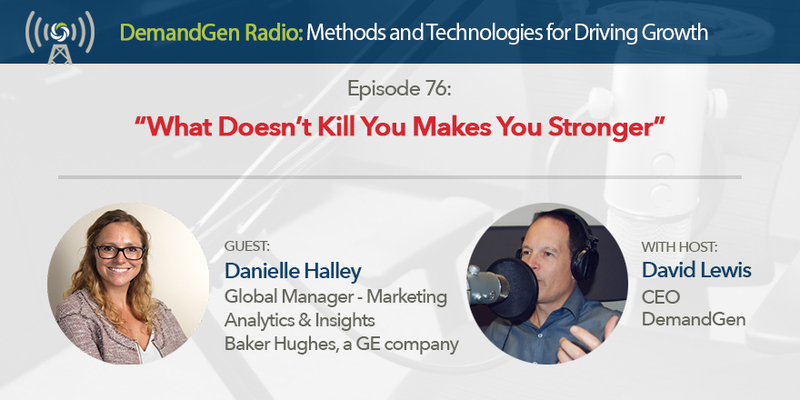 Danielle Halley, Global Manager - Marketing Analytics and Insights at Baker Hughes, has gone through many changes throughout her career path. While her background in economics and psychology isn't the traditional entry into marketing, it has paved the way for her to excel in a highly analytical and data-driven marketing role. Tune into this episode as Danielle shares her unique story, talks about how to overcome stress and conflict, and goes into detail around some of the initiatives she's working on at Baker Hughes.